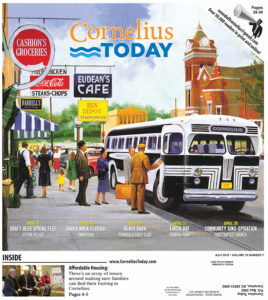 Cornelius Today is a local newspaper which contains news and information for Cornelius citizens not available anywhere else in Lake Norman. • Mailed to every residence and business in Cornelius. • Highlighting education news which is important to parents and families. • Local service club news – Cub Scouts, etc. We’d love to hear from you. Please submit your press release, upcoming event or any other topic and we will get back to you as soon as possible. You can also call us at 704-895-1335.